If you are disabled or have low mobility, Mexico can be a challenging place to get around in. In recent years, some improvements have been made to help disabled people get-around more easily in public places, hotels, restaurants and some tourist attractions, and while progress is being made, you cannot expect to see accessibility levels like those in the US, Canada and western Europe. By planning your trip carefully, and staying at higher-end hotels or resorts (which are more recently built or refurbished with modern design and thus the architecture caters for accessibility), you will find that you will be able to better enjoy your visit Mexico. Use a Travel Agent: A good travel agent that specializes in Mexico will have local knowledge and local contacts and should be able to provide advice and recommendations based on your specific needs. If you have it in mind to visit certain places that interest you, ask your agent about these as the agent may also be able to make special arrangements for you. Airports are much more accessible than bus stations, so we recommend you fly to your destination, or as close as possible to it. Mexico’s Luxury buses may suit some low-mobility travelers. Choose modern or refurbished hotels/resorts: modern buildings have accessible designs, and this includes many of the newer resorts and hotels across Mexico. Modern beach-side resorts tend to be close to international airports which will make the connections to and from the airport easier and quicker. Taxis and airport transfers: You can use local taxis, or App-cab services where available, or airport transfer services (some airport transfer services may offer disabled access vehicles) although public transport in the form of local buses is inadequate for the disabled in Mexico. Car rental: If you plan to sight-see various places during your visit, consider renting a car locally so that you and your party can visit the places you want to see with the flexibility an independent car provides. Contact the car rental agency directly and ask them about the availability of vehicles featuring Adaptive Driving Devices like hand controls, left foot accelerators, spinner knobs, and pedal extenders; with advance notice they may be able to arrange these for you. Also speak with your travel agent about accessibility at the places you plan to visit (e.g. archaeology sites, theme parks) or call/email the places ahead of time to ask for guidance. Parking: Most public car parks in main towns and cities have at least one accessible car parking space, and usually several. Major shopping malls and supermarkets feature accessible car parking spaces in their lots now. Ask for Assistance: If you find yourself in a place that seems inaccessible (for example, it may appear that there is no elevator), don’t be afraid to ask for assistance. For example, there might be a service elevator that you could use, and helpful attitudes from staff can sometimes come up with improvised support solutions. 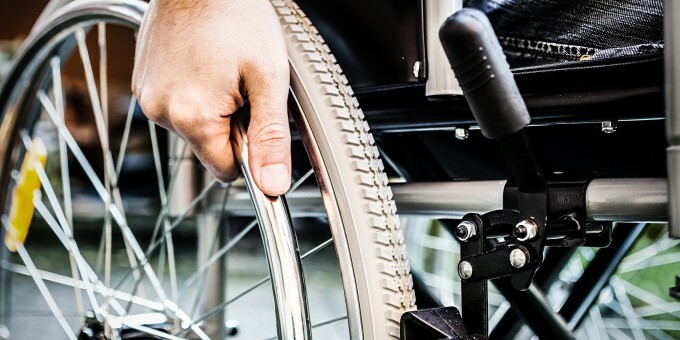 This page of Wheelchair Traveling website contains a list of practical articles with first-hand advice and shared experiences documented by low-mobility / disabled travelers who have visited various places in Mexico.